Welcome to the Regions Hospital Emergency Medicine Physician Assistant (EM PA) Residency. We are excited to offer the first EM PA residency program in Minnesota with the inaugural class in 2012. We are fortunate to be able to collaborate with a well established and highly competitive physician emergency medicine residency, which was established in 1996. Regions Hospital is a Level I Trauma and Burn Center and is the state’s first Level I Pediatric Trauma Center. The emergency medicine faculty are affiliated with the University of Minnesota and provide training for emergency medicine residents, rotating residents, and medical students. The PA staff provide training for PA students. The PA residents work alongside physician residents, study the core curriculum, and participate in weekly conferences in addition to their clinical rotation schedule. We offer 10 weeks of critical care training with opportunities for procedural experience during these rotations, during outreach hospital and rural hospital rotations, as well as simulation training. Regions Hospital has a long history of education dating back to it’s founding as Ancker Hospital and later St. Paul-Ramsey Medical Center. In 2009 a new addition to the hospital was completed with an expansion of the emergency department. The increased bed capacity led to changes in the staffing models to increase provider coverage, which has included the increased utilization of PA providers. With the rising volume of patients with increasingly complex medical problems, the benefit of advanced training for newly employed PAs has been recognized. The organizations of the American College of Emergency Physicians (ACEP) and Society of Emergency Medicine Physician Assistants (SEMPA) are advocating the role of advanced training for PAs. We agree that postgraduate training will allow PAs to refine their knowledge and skills, and to successfully integrate into the specialty of emergency medicine at an accelerated rate compared to on-the-job training. 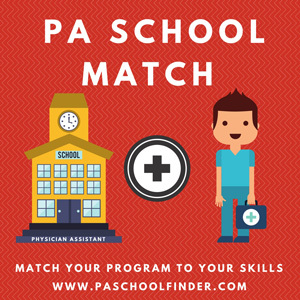 Employers, physicians, and patients will benefit from PA residency trained providers and the training will lead to increased competence, confidence, and job satisfaction to the provider. We here at Regions are privileged to be able to offer the opportunity for the motivated and intellectually curious physician assistant to become a leader in the trend towards advanced training for PAs in emergency medicine. Please explore the web site and contact us if you have questions. Sullivan University Physician Assistant ProgramХs mission is to educate medical professionals to provide ethical, high quality, and compassionate healthcare as part of an inter-professional team. Students will prepare for a professional role as clinicians with an emphasis on care in the primary care setting and underserved areas. The students will focus on preventive health care services as well as acute and chronic disease management in an efficient and cost-effective manner.